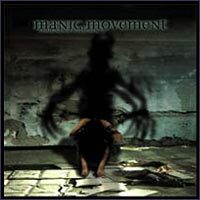 Geraardsbergen (Belgium) Thrash outfit Manic Movement was created by Steven Van de Wiele (lead guitar) and Olivier Wittenberg (drums) during 1993. An early frontman would be Ramses singer Marc De Veirman (vocals). Manic Movement's 'Discipline' EP issued on Asterion Records was produced by Andre Gielen. In 1999 the band, working with former Channel Zero man Xavier Carion as producer, recorded the album 'Thousand Sufferings', signing this product over to Dutch label Suburban Records for issue that November. The band roster at this juncture saw Van de Wiele and Wittenberg alongside Maarten Verbeke (vocals), erstwhile frontman for Welkin, Ken Straetman (rythm guitar), Sengir keyboard player Filip De Grave (keyboards) and Sven De Corte (bass). Mastered by Attie Bauw, the album included a surprise cover of Jacques Brel's 'Amsterdam' hit. A European tour in January 2000 was conducted as a package billing with Kreator, Witchery and Moonspell. However, following release of the album the group underwent line-up changes, acquiring a new team of guitar players Philippe Pieters (guitar) and Jérémie Vasile (guitar) along with Gerry Verstreken (bass) of Imperia. Sven de Corte joined Deathtrap. 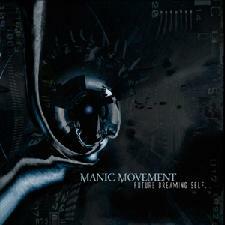 Partnering with Xavier Carion once again, Manic Movement's next album, the conceptual 'Future Dreaming Self', saw release on the Megalomanious Records label. Yet again the band pulled out an unlikely song to cover, this time honouring Anne Clark's 'Our Darkness'. Maarten Verbeke would remain on good terms with his former Welkin comrades, guesting on their October 2002 album 'Angel Inside'. Guitarist Philippe Pieters opted out of Manic Movement in 2003. Ex-Manic Movement members guitarist Steven Van de Wiele, also citing an affiliation with Massif, and Sven De Corte returned to the scene in 2004 with Shellcase. Sven De Corte would also be active as a member of Exile. 2005 saw Gerry Verstreken handling bass for Helena Michaelsen's Angel.